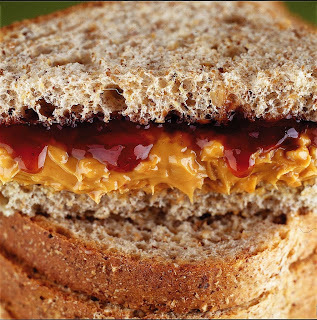 Who would have thought that I would close out 2007 saying this: The best thing I made in my kitchen was a peanut butter and jelly sandwich? I certainly wouldn’t have thought so a few days ago. Before I returned from Christmas in Tyler, I probably would have considered either a particularly uniform and golden batch of waffles or perhaps one of my soupy concoctions the highlight of my culinary pursuits. All of these great meals, sides and dishes went out the window when Isaac came to my door Thursday evening. I was in my kitchen, just doing the dishes and listening to the UT/Arizona State game on the radio, when I heard a faint knock at my back door. It was barely audible, competing with the clatter of dishes beneath a running faucet and the play-by-play announcer on the radio. Still, I heard it and without hesitation I unlocked and opened the door. Isaac, mid-20s and mid-200s, was on the other side. His exhausted face and prematurely gray sideburns spoke for his hard life. His prison tattoos did, too. He asked if I was Jared or if I knew Jared, someone he met at Church Under the Bridge who told him he lived at Terrace Gardens. I told him I didn’t know Jared. That could have been it. I could have closed the door. I could have gone back to my dishes and the game. I didn’t. After walking outside with him and talking a bit, trying to think where Jared might live, he asked if I could get him something to eat. Hesitant for a second, I said no problem. I scratched my head for awhile. I didn’t have much that could be made quickly. Oddly enough (for me), I did have bread on hand. We returned to my kitchen and I made him a humble PB&J sandwich. Honestly, I initially planned to make it to-go — bread, then peanut butter, then jelly, then a Ziploc bag and then good night . Instead, I pulled out a plate, Isaac pulled out a chair and we talked. We talked for probably 10 minutes. We talked about God, religion and Waco. We discussed Church Under the Bridge, Mission Waco and my appetite for World Cup Cafe. As Isaac ate and drank water — rehydrating and refueling for his trek to 18th Street — I told him about my struggles with addictions and depression, my connecting with God in the past two years and trying to find meaning and purpose. He returned in kind with tales of being homeless or living paycheck-to-paycheck and barely eating. He told me he hasn’t lost hope or his dignity. He works. Hard. Every day. He waits outside of labor ready every day, hoping that someone will drive up with a job for him to do, a job that will pay just enough to take care of his estranged children, to pay for his half of an apartment or maybe enough left over to save for a car one of these days. I told him it’s good to hear he’s a Christian who keeps faith in the Lord and reads his Bible regularly. I’m not gonna lie. That’s more than I can claim . And I’m the one who’s blessed. I’m the one with a comfortable, affordable home, stocked pantry and fridge, decent career, car and a room filled with bikes and basses. What’s my excuse? Thirty minutes and a 10-cent sandwich later, Isaac pushed his chair back and thanked me. I felt bad because I could have done more. I debated driving him to his destination. I wondered why I didn’t make him a bigger meal. I felt guilty. So I gave him my usual handout — a $5 gift card to McDonald’s. It was my last one. I used to keep a few on me and in my car and would give them out regularly in Rockford. I thought it was enough then. But talking with Isaac reminded me that a conversation, interacting with another person — however random, just a complete stranger — trumps a gift card or a sandwich. He smiled, thanked me again and told me that some day we’ll have lunch at World Cup Cafe. His treat. I told him I’d like that. Thank you, Isaac. I love this story. It is humbling, convicting and inspirational. Thanks, Jenny. That night and small interaction with a complete stranger made a big impact on my life.